There is nothing better than the morning light streaming through our front windows. I'm not really a morning person, but I think that has slowly shifted since becoming a mama. And while I would prefer to continue snoozing, I am so thankful that I get to enjoy the morning sun these days. The best part of enjoying the early hours of the day? The toddler playing make-believe in her footie pajamas and the iced coffee I'm sipping on in our cozy corner. And if you know me (in blog land or in-person) you know how much I enjoy iced coffee, especially when it's Starbucks®. It's even better to share these moments with husband during the weekends. 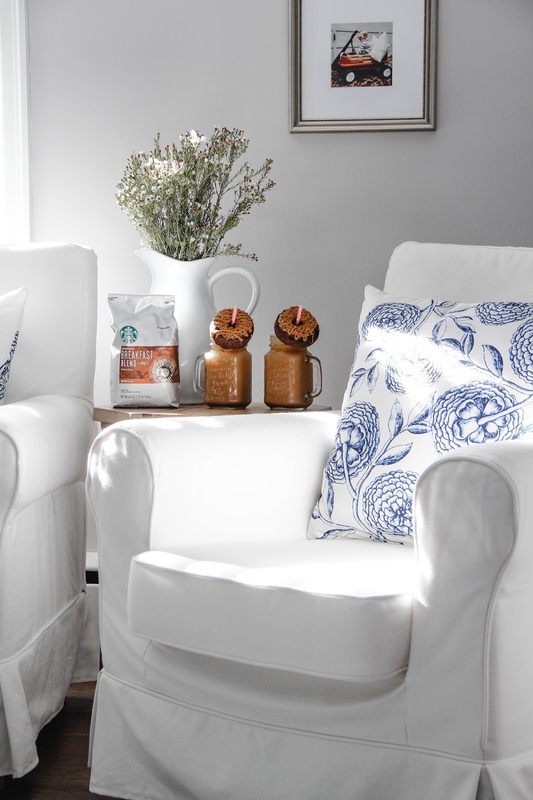 Our little cozy coffee corner is the perfect spot to do life and enjoy the start to the day with a homemade iced latte in hand. Here's the way we like to serve it up! Cheers! 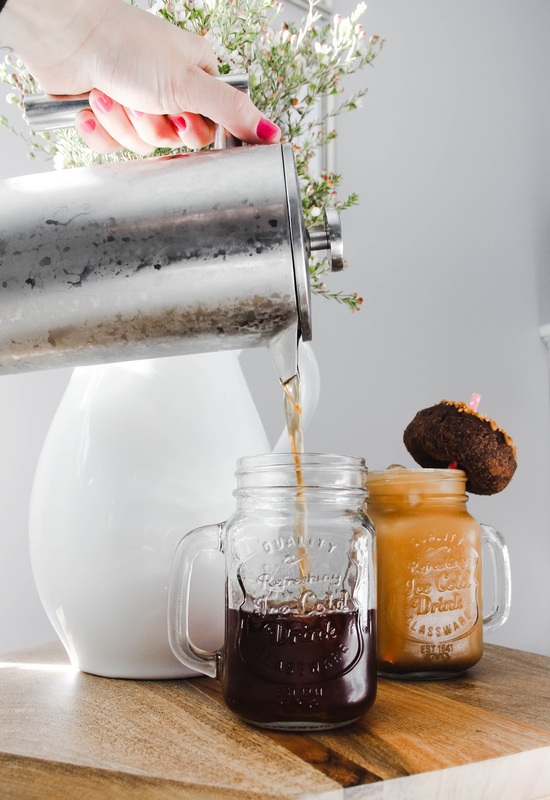 The night before you want to enjoy this iced latte, you will need to cold brew the coffee. I used a French press for this step. Put the ground coffee in the French press and add the water. Put the lid on, but do not push it down. Store in the fridge for up to 12 hours. 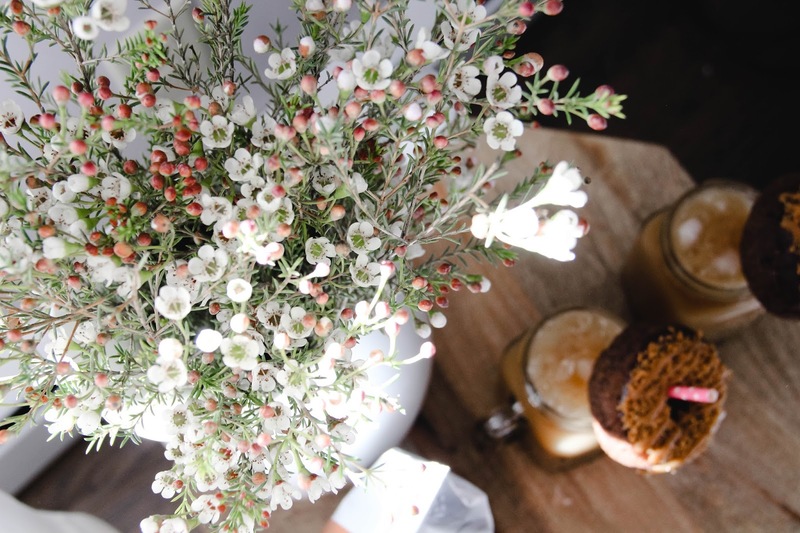 The next morning when you're ready to enjoy, push the lid down on the French press to filter out the coffee grounds. Put ice in you cup and then pour the cold brew coffee over it. Add as much or as little of the coconut milk as you like. 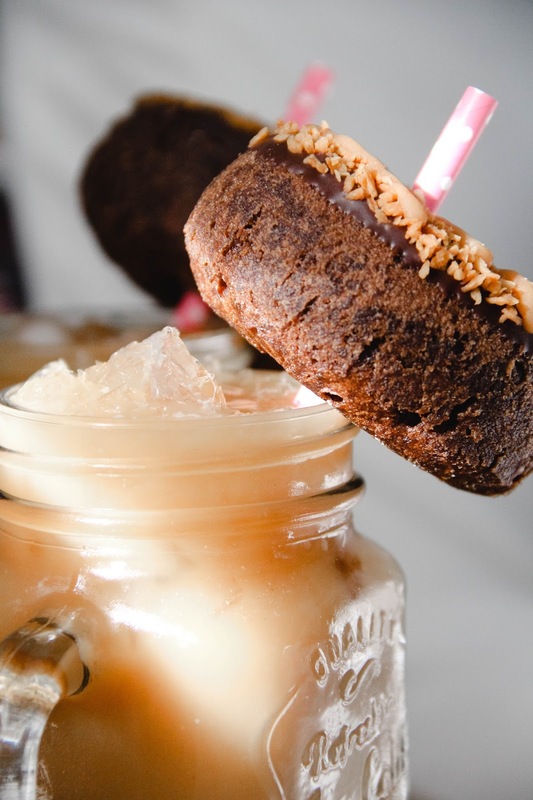 Add some splashes of caramel syrup (to your taste). 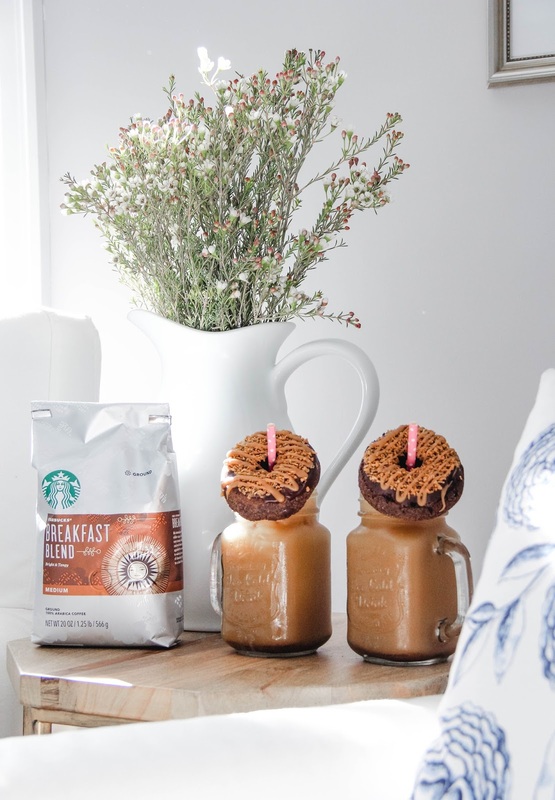 For a lot of extra fun, add a paper straw and a scrumptious donut! 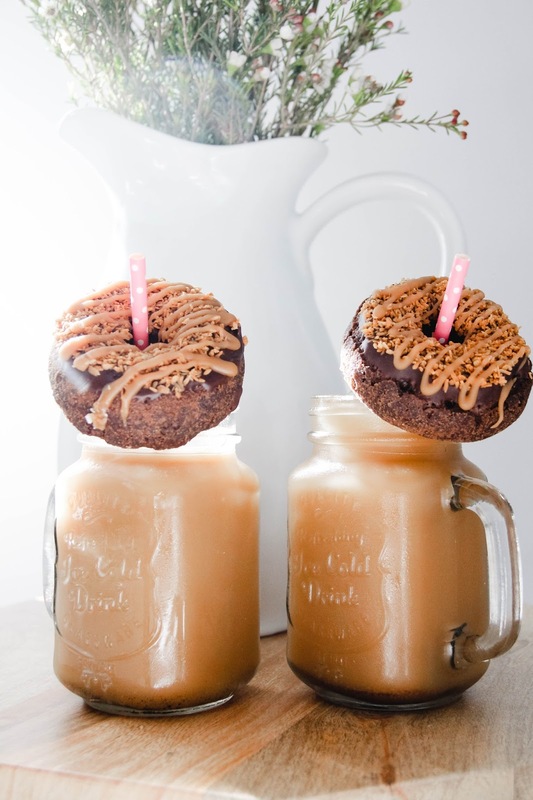 **This recipe makes two iced lattes. 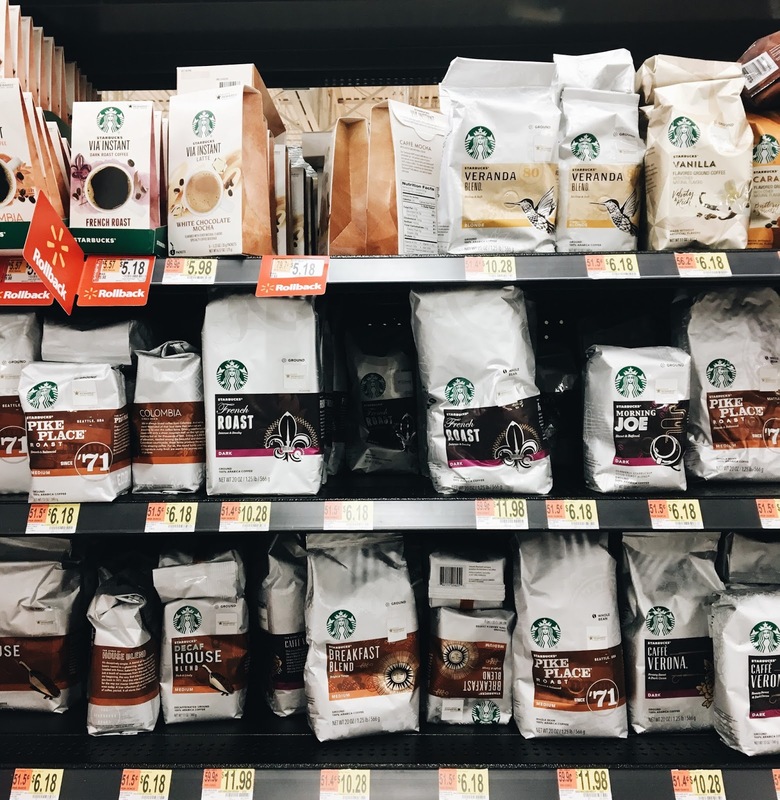 Seize every sip of summer with Starbucks®, and find your bag of Starbucks® Breakfast Blend at Walmart, right in the coffee aisle. Be sure to collect 75 Bonus Stars with a purchase of any (3) Starbucks® packaged coffees of K-Cup® pods through 7/10/17. The best part of enjoying an iced latte is the person or people you're doing it with! 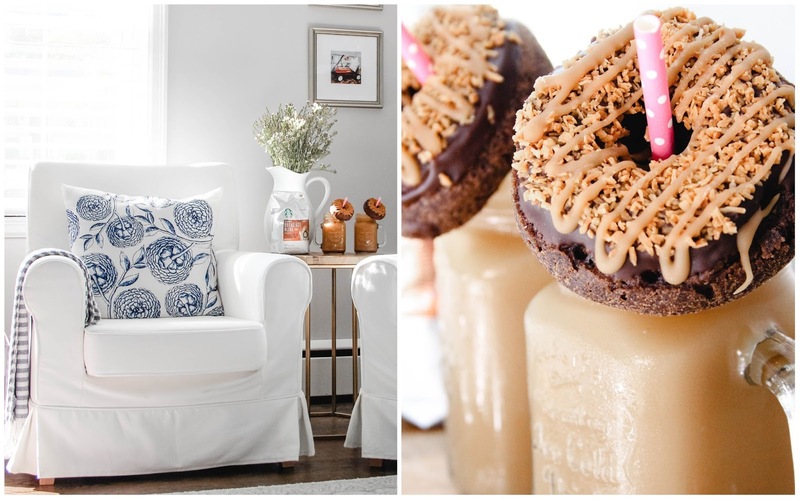 Make a cozy spot in your home to sit together and sip on a delicious coffee treat. It makes it all the better, I promise! 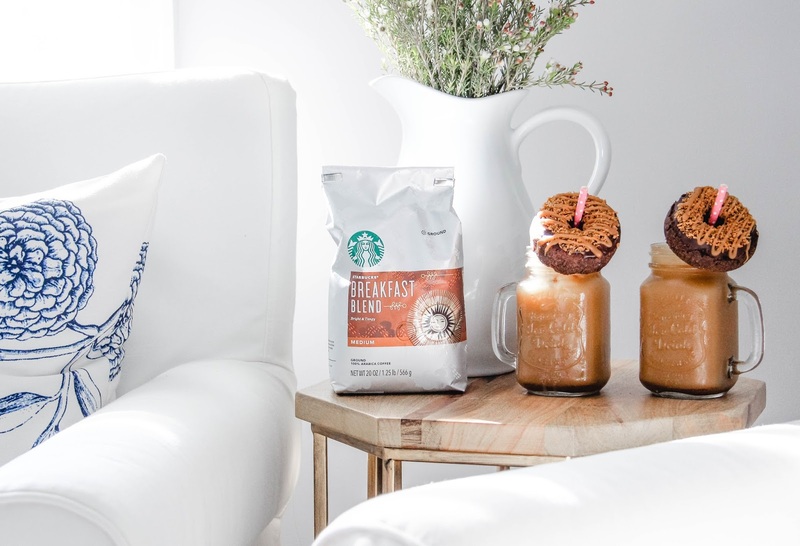 What is your favorite way to drink Starbucks® at home?